HBO’s official slogan is still “It’s HBO,” but it’s unofficial slogan is “HBO: If You’ve Worked Here Before, You Can Work Here Again!” It’s a terrible slogan but an accurate summary of an executive session with HBO president of programming Michael Lombardo at the Television Critics Association Press Tour. Lombardo confirmed progress on David Chase’s long-awaited follow-up to The Sopranos, Sarah Jessica Parker’s Divorce and a likely third season of the suddenly beleaguered True Detective. Regarding the latter show, which has been pilloried far and wide throughout its second season, Lombardo boasted its viewership of 12 million and voiced his unyielding confidence in creator Nic Pizzolatto. Though Lombardo said he’d been away on vacation during much of the grousing, he wasn’t concerned after returning to a critical revolt against season two. 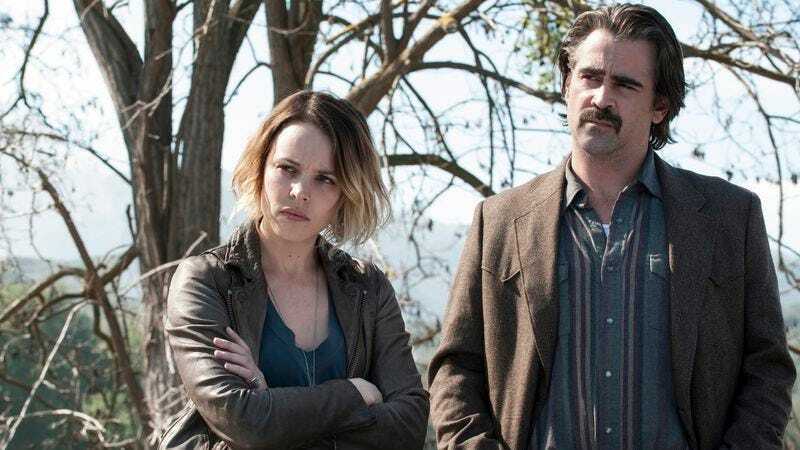 He urged patience as the show rolls out its final two episodes of the season and said a third season of the noir anthology depends solely on Pizzolatto’s interest. Lombardo said there’s been some advancement on Chase’s long-gestating project, saying he’s seen pages, which blew him away creatively. He said the project has taken so long to come to fruition largely because Chase wasn’t sure of the form the project should take. HBO’s revolving-door policy also applies to Larry David, who Lombardo hopes will return to HBO once he decides he has something to say. “I certainly see this as a continuing dialogue. A long dialogue, but a continuing one.” Lombardo didn’t have much detail to offer on Divorce, but said the ball is rolling on production and HBO is mulling a premiere in the summer or fall of 2016. In the first half of 2016, HBO will find a place for Looking, which was canceled in March due to anemic viewership in a decision Lombardo called “painful,” especially as a gay man who appreciated and identified with the show’s depiction of life as a gay man. Also bowing in 2016 are Westworld and Martin Scorsese and Mick Jagger’s ‘70s-set rock drama, which will be called Vinyl.